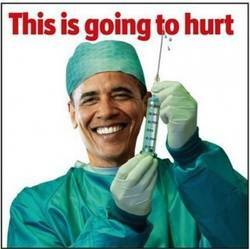 The health care fiasco has bared the cowardly underbelly of the Democratic Party, which is putty in the hands of President Obama and his co-conspirators in the insurance industry. The conclusion is inescapable: Barack Obama and the majority of the Democrats never had any intention of bringing reform to health care. Last Wednesday (September 9, 2009) the nation was riveted to the President’s speech on healthcare reform before Congress. While the President’s concern for the uninsured is no doubt sincere, his plan amounts to a magnanimous gift to the health insurance industry, despite any implications to the contrary.